Grand Theft Auto V is now the fastest-selling video game in history. Where it took the previous record-holder, Call of Duty: Black Ops 2, a full 15 days to reach $1 billion in sales, GTA V needed just three days to pull off the same feat. Early estimates pin the game’s lifetime earnings at $1.4 billion but if the current momentum holds strong through the holiday season, we could be looking at the first ever $2 billion game. Publisher Take-Two Interactive announced the milestone on Friday but it’s anyone’s guess as to how long the game will hold the record. That’s because a serious challenger, the latest installment in the Call of Duty franchise, is slated to drop later this holiday season. Call of Duty games have created and broken the sales record several times over. 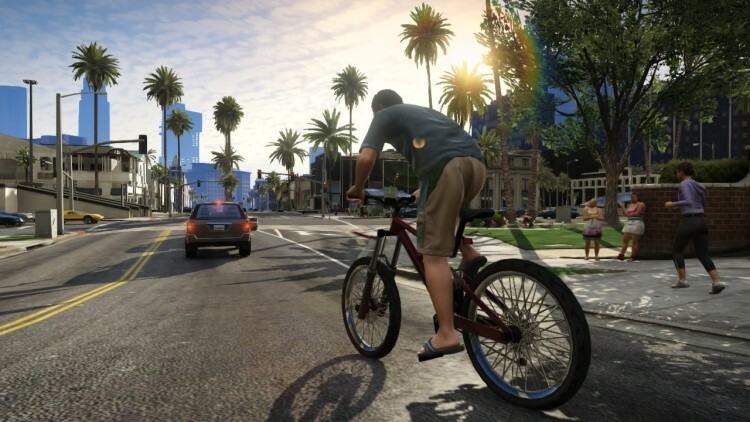 The key difference between Call of Duty: Ghosts and GTA V is the number of systems the game will debut on. Where GTA V launched on the PlayStation 3 and the Xbox 360, Ghosts will be hitting those consoles along with the Wii U and the PC all on the same day. Not that it helps in this argument but the game will also be available on the PlayStation 4 come November 15 and the Xbox One on November 22. GTA V could have no doubt reached the milestone even faster had they released a version for the PC alongside the 360 and PS3. There are currently no official plans for the PC or next generation consoles but they’d have to be crazy not to eventually port the game to these systems.